(CNN) A rural farmer in Tanzania hovers over a wilting cassava plant with her phone. In seconds she gets a diagnosis of the disease affecting her plant and how best to manage it to boost her production. 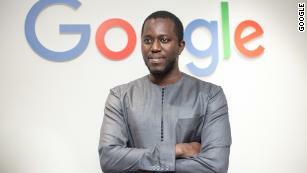 Moustapha Cisse, Africa team lead at Google AI. He added that Google also supports graduate programs in Machine Learning at the African Institute for Mathematical Sciences in South Africa.